Chandigarh: Punjab Chief Minister Amarinder Singh mooted on Wednesday a proposal to cut down the budget of all other departments by five per cent each, in order to arrange additional revenue for education, which he described as “critical for the state’s development and progress.” The initiative, the chief minister said, would help raise an additional Rs 887 crore for education, whose budgetary allocation currently stands at 14 per cent of the total outlay at Rs 2,916 crore. 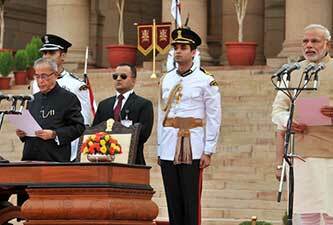 The additional budget for education would raise the total to Rs 3803 crore, making it 21 per cent of the overall outlay. 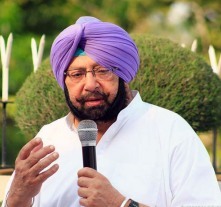 “Education is the most vital engine of the state’s growth and the Congress government in Punjab would take all possible steps to improve the education system, including five per cent reduction in the budgetary allocation for other departments, if needed, to raise its investment in education,” Singh said. The chief minister was speaking at the Agri Conclave 18, hosted by a private TV channel here, an official release said. 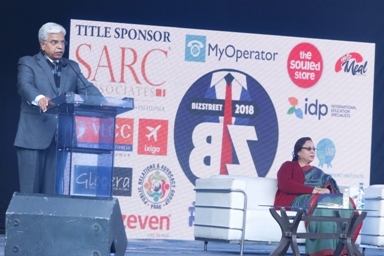 Speaking at the event, Singh reiterated his stand on water sharing, saying Punjab did not have sufficient water to share with other states, given the criticality of the ground water levels. Describing the declining water levels and the cropping pattern in the state as “critical issues”, Singh said Punjab was grappling with a major water crisis. Recalling that he had given water to Rajasthan during drought period in his previous tenure, he pointed out that the situation had changed drastically since then, with melting glaciers adding to Punjab’s water woes. “Though the division of resources between Punjab and Haryana is in 60:40 ratio, the entire Yamuna river water went to Haryana, which also got additional water from the Sharda Link along with 40 per cent of the Beas-Ravi-Satluj water,” Singh said. “Once the issue of the quantum of water is decided, only then can the matter of SYL canal construction be sorted out,” he said, expressing hope that the matter would be resolved amicably. Underlining the need to save groundwater through various innovative methods, such as drip irrigation, aeroponic and hydroponic techniques, the chief minister said his government was working on getting canal water into the cities in order to control exploitation of groundwater and prevent spread of diseases. Singh said the agriculture crisis was a national problem and the Centre must address it. “Unfortunately, it is being used to score political points,” he said, adding that the few steps being taken by the central government now were only with an eye on the Lok Sabha elections, due next year. Singh said Punjab, being an agri state, was contributing 12.5 per cent to the country’s overall food production but had less than two per cent of total cultivable land.